To a dog, a ball is not just a ball. That shiny, slobbery plaything is an opportunity, a challenge, a steadfast companion. In my dog photography—often down on all fours—I strive to glimpse life on their level: A bowl of food is love and comfort. A warm bath is the ultimate back rub. A knock at the door is a chance to prove courage and loyalty. Therein capturing the reality of dog ownership—a reminder to enjoy the small things. My journey with animals began as a child in the wilds of Maine, surrounded by pine forests and freshwater lakes. Much of my time was spent exploring the countryside or playing fetch lakeside with one of my family's loyal Chesapeake Bay Retrievers. 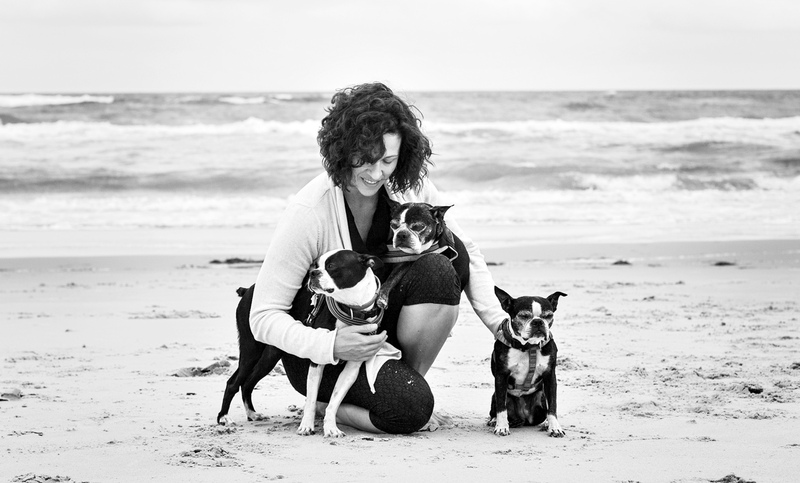 As an adult, my love affair with dogs grew through Annie and Murray, my intensely brave, silly and loving Boston Terrier rescues. While Annie and Murray are no longer with me, their memories and my new pup Ollie, keep me laughing and from taking life in the city too seriously. They also inspired my passion for matching the click of a camera with the wagging tail of a happy dog. My life in photography has been a wild ride. In addition to the chaotic world of canines, I pursue projects and assignments dedicated to my intense love of the natural world and exploration. I'm a contract photographer for the Smithsonian Institution and the National Geographic Image Collection and a photo graduate of Rochester Institute of Technology. When I’m not making photos or chasing after the pups, I enjoy spending time in the great outdoors and practicing my downward dogs. Each year, I support local animal rescues through pro-bono photography and charity shoots. If you manage a shelter or rescue and would like to partner, please reach out.